Here are a few women who chose to step up and shine and have been involved in the Diva brand for the past few years. They embody the Diva philosophy in that they are aspirational, sassy, smart, entrepreneurial, authentic and on a personal development journey to live an outstanding life. A series of so-called coincidences brought me face-to-face with the Grand Diva, across a crowded room at an IoD Women’s Conference! I don’t believe in coincidences … so I was compelled to find out more! Since that day, Jane has inspired me through her wisdom, her energy and her passion for doing the right thing – which is truly infectious. I worked with Jane on a one to one basis, in preparation for a major life change – and would say that the coaching was a fundamental part of me being able to face the challenges head on. Jane helped me to understand, for the first time in my life, that I ROCK! I also took part in a Powerteam in 2011/12 which was incredible – Jane’s ability to put people together to really demonstrate the power of the strength of ‘sum of the parts’ is second to none. What an amazing experience. 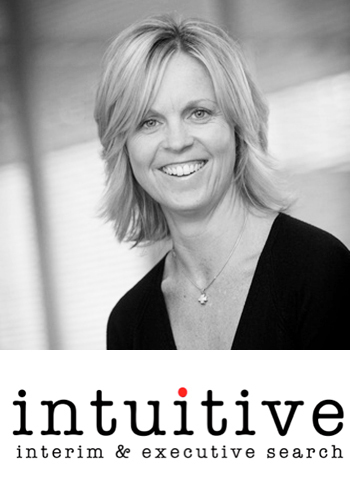 Intuitive has been born out of a passion to do the right thing. Recruitment has been around for centuries, and we're certainly not the first to claim that we're different. But whilst many other firms have chosen to use new technology or build massive databases to automate the process (often at the cost of quality), we concentrate on delivering a bespoke service to clients and candidates alike by treating them as individuals that we actually take the time to get to know and understand. We believe in the power of the relationship. Relationships are key to everything intuitive does. 5 years later…..after stepping up twice ( for different reasons! ), discovering my diva, divapreneur and also some personal coaching, I can honestly say meeting Jane and going on a journey with her to guide me has changed my life! I also am a Big Sister with Girls Out Loud, which I adore. I now run a business which I love, because it has my passion at its core and I am getting married in September to a man who adores me, all because I finally know who I am! I am a mortgage and family protection specialist, making sure that all my customers are looked after the way I would like to be, and in the I would like my family to be treated by professionals. This is about getting personal, being trustworthy, empathic and protecting people in the right way for them. I am passionate about doing the RIGHT thing. I first met Jane in 2008 at the Well Heeled Divas first birthday event. Since then I’ve been on her Stepping Up workshop, worked with her for a year in a 121 coaching relationship, participated in 3 Diva Powerteams and was a Big Sister for a year. I’ve moved on so far, recreating my business, working through my Fabulous at 40 challenges and getting the chance to give back as a Big Sister with Girls Out Loud. I’d say my confidence in trying new things and accepting change has really grown during this time and I’ve loved being part of the Well Heeled Diva and Big Sister community and meeting so many amazing women. I really appreciate all the support Jane has given me during this time. And I know there are still loads of adventures to come, and I’m ready! Edge is all about helping people create a winning mindset, whether that’s in Sport or Business. I’ve been a Sport Psychologist for 13 years and have worked with top athletes and gold medal winning GB teams, experiencing at firsthand what it takes to be World Class, ie confidence, discipline, determination. I also help business people, who are trying to gain an edge, to transfer this thinking to advance in their competitive markets. Edge also works with athletes to bring in funding to provide them with a team of support, involving Physiotherapists, Nutritionists etc. who help create the champions of tomorrow. I first met Jane when a business connection suggested I attend one of her introductory meetings. Life was particularly difficult at the time but having listened to Jane talk about her own experiences, it just felt right that I should start to work with her. I signed up for the stepping up workshop, a 12 months personal coaching programme and attended 2 powerteams. Jane doesn’t tell you what to do, she helps you to understand who you are? In a totally safe environment you share some very personal experiences and work through the steps to get the best out of your business and personal life. It is a number of years since I first met Jane and I am now a focused individual with positive goals. I also have a strong group of female peers who are there when needed. Jane is amongst them. Insurance is a complicated topic and at Stanmore we ensure our clients understand the cover we have arranged to protect them. They are provided with objective choices as we know that costs have to be considered. Our clients are commercial companies from a wide variety of industries and we have the expertise to work in many types of businesses. My particular specialist area is insurance for children’s day nurseries and at present insure 1,000 settings throughout the UK. I first met Jane in the summer of 2008. It was a Well Heeled Diva introduction event. I decided at that event to step up and embark on a 2 day workshop with Jane. I was heavily pregnant with my second daughter at that event. It really was the right time for me to make a change in my life. I felt like the event acted as a catalyst for me. I was in a business that I was no longer enjoying and at that event I made the decision to get out of it. The workshop was great as it enabled me to take a step back and think clearly about my goals. At that point I decided that I wanted to get into property investing, this had been my dream for many years but I hadn’t stepped up and done anything about it. I also embarked on a 12 month coaching programme with Jane. This was a fabulous programme with monthly 121 sessions with Jane discussing my business plans and moving forward. This really gave my journey a boost and we very quickly carved out a business plan. As a result of that I have 7 buy to let investment properties and run a property investors website with over 22,000 subscribers. I am Director of www.JustDoProperty.co.uk. JustDoProperty is a free education website for Property Investors. You can subscribe to Just Do Property for free to receive all the latest UK Property news, free webinars and information from UK Property Experts. I also enjoy building a portfolio of tangible assets and helping others to do the same. This includes property and also recently silver coins. Robert Kiyosaki (Author of Rich Dad Poor Dad) says that silver is the biggest opportunity he’s ever seen. I met Jane 4 years ago when I attended a Well Heeled Diva Workshop. After running my own business for 13 years my mindset was rather sluggish to say the least. I realised I had to step up my game and get my mojo back and I can honestly say that after being in the room with vibrant, energetic, like minded women for even just half an hour gave me the kick start I needed. Three years on I now have the privilege to be included on a 12 month Diva Powerteam with 11 more entrepreneurial women who are all inspiring, knowledgeable and experienced in their field. I have changed beyond recognition from that very first meeting with Jane, from my diffident, wary nature to an assertive, determined, optimist. I have stepped up to my own challenge and my entire world is one of excitement and enchantment. Amelia Interior Design was set up 17 years ago. Having 31 years of experience in the Building Industry I pride myself on the knowledge and experience I have picked up over those years. My heart is with residential properties and Interior design is MY PASSION - to be able to create another persons dream home is simply an amazing process. I Listen to my clients, creating interiors that reflect their individual personalities and lifestyles. With my straightforward, open approach I encourage clients to relax, enjoy the design process and leave all the hard work to me. Good design doesn’t have to cost a fortune and I keep a close eye on products and prices, knowing exactly where to source items and arrange discounts on their behalf. As a nurse working mostly in the NHS for 26 years, I had been use to working as part of a team. But, 8 years ago I changed careers and trained to be a Personal Stylist. I have a great job with amazing clients, but being self-employed can sometimes be a lonely and daunting road. I joined various ladies Networking groups and Forums, but I felt I needed a more dynamic and personal support environment, which is why I decided to enrol on a Diva Powerteam with Jane. I am now on my 2nd Diva Powerteam experience, and I am loving every minute. I enjoy being part of a small group of interesting, professional women. I appreciate the support, ideas and encouragement this select group offers me, and, I love being able to offer my help, support and ideas to the girls in the group. It’s a win, win situation! I am also a Big Sister with Girls Out Loud. For me, it is very important to try and give something back and, working with the young girls who have stepped up to be a part of the GOL scheme is very rewarding. I love their enthusiasm, laughter and honesty, and, it is a privilege to see them blossom into amazing young women. I am a Personal Stylist offering women and men a wide range of tailored style and image consulting services. An up to date knowledge of trends, fashions and brands whether on the High Street, Internet, local boutique or top designer level is essential. I first met Jane when I was invited by a friend to join her on a Divapreneur workshop. Impressed by Jane and what I’d learned about myself, I subsequently took part in a Diva KickStart event and then a Stepping Up workshop, and a Think & Grow Rich study group. As a result of all these I have learned to be much more honest with myself and put my own needs first. It helped me to be strong during challenging times and maintain great faith in myself and my abilities. It has also spurred me on to set more ambitious targets, and given me a broad path to follow. I own and run a ladies gym in Manchester, which I set up in February 2003. The business is more than just a gym; we offer our members a lot of day to day support to reach their goals, particularly weight loss. Exercise is based around a 30 minute interval training circuit which suits all ages, sizes and fitness levels, yet provides a highly effective fat burning and toning workout. In addition to the circuit, we offer exercise classes, weight loss programmes, personal training and in-house physiotherapy. All of this is underpinned by a friendly and supportive atmosphere. I first met Jane through a mutual friend who invited me along to a Diva night in Manchester. I was struck by Jane’s energy and drive. It made me consider what I wanted out of my life. I took part in a Diva weekend workshop where there were many tears, revelations and commitments made to change. I also took part in a Diva Powerteam where I made some fantastic friends who continue to support me in business today. I also worked with Jane when she coached me for a year. Jane helped me to change the way that I viewed my business, to set myself some achievable goals and to believe in my own ability – something which is crucial when you are self employed because nobody ever tells you that you are great so you have to tell yourself. Essence Agency is a marketing agency that utilises the experience and talents of the diverse number of freelancers who leave the creative industry, particularly after having children. This dynamic and motivated workforce want the freedom to work around their families and Essence Agency taps into this resource to deliver high quality campaigns that suit a clients budget and that deliver experience and enthusiasm. Clients will receive relevant expertise in their area of business coupled with the very best value for money. Lead by owner and director, Claire James, Essence Agency prides itself on delivering a first class service. I first met Jane at a networking event in Blackpool. At one of the sessions, Jane did a presentation about being affected by things that have been said in the past and how it can affect you today. Following that, I decided to go on two of her workshops – Stepping Up and Divapreneur Mindset . The stepping up workshop helped me to dump some issues which I had and which had been affecting my happiness and in turn, my business. I have since dumped those issues and learnt to say no to people. I also met some fabulous ladies that day. The entrepreneur workshop was very interesting and I discovered what type of work is in flow with my character. I am very glad to say that I have stepped up! I became a partner of Ascroft Whiteside Solicitors in 2005. Since then, my partner has retired and I incorporated the business in 2010. I now have a co-director and the business is growing, despite the pressures of the economy and to the legal profession. We are a small firm of Solicitors which helps clients buy or sell houses, handle their probates, Wills and Lasting Powers of Attorney and gives matrimonial and child contact advice.